I’ve done many cool things as a lawyer. I once travelled to Costa Rica, for example, to present an oral argument at the Inter-American Court of Human Rights; I once helped free a wrongly incarcerated man from a Mexican prison; and I have worked extensively advocating for international civil rights. These efforts and others like them feed my passion for social justice and human rights. But they do not make me a whole person. My law practice does not, and never has, satisfied two of my passions that predate any interest I took in the law. Intimately woven within the fabric of my personality are passions for creative writing and...hockey! Lawyers are, in several important ways, writers. While good legal writing can overlap with creative writing principles - nothing should stop counsel from writing creatively - the gap between the two disciplines is still a broad one. I discovered this creative cranny shortly after starting my law practice. So, I dusted off an old story idea and set out to supplement my legal work with an infusion of creativity by writing a novel. And what better way to kill two birds with one stone by making hockey the subject of my book. It took me about two years. While juggling my legal work, I worked weekends and evenings mining the creative nooks residing in my brain to chisel away the book that is now published as Hockeywood. The book tells the story of family and redemption against the fierce backdrop of hockey. Ray Cortez (aka: “Hockeywood”) is a recently retired hockey luminary who descends from a long line of hockey legends. His father, Tomas Cortez, himself hockey royalty, leads the struggling Toronto Mounties as coach. When Tomas is stricken with terminal-cancer, the game clock ticks faster. Ray responds the only way he knows how: by playing hockey. Ray exits retirement and skates onto the ice with the Toronto Mounties. With the long-held dream of winning the Stanley Cup in reach, Ray must reconsider his plans when his own life is put in jeopardy. Writing a novel, as it turns out, is not altogether different from legal writing. The daunting task of starting with a blank page and the knowledge that somehow you must find the words to fill it is the same. Both require concentrated research and preparation, without which you risk finding yourself dangerously off-track, lost in a mire of facts and ideas, with your reader possibly giving up and deciding not to waste their time on your work. The same dedication and discipline needed to write a legal brief was the same I applied to see my novel through to completion. The project, however, has a dose of bittersweetness. In the months between my completing the final draft and publication, my youngest brother was diagnosed with a currently incurable form of brain cancer. Like doing good with my law degree, I decided to donate one dollar of every Hockeywood purchase to fund brain cancer research. Hockeywood, for me, is a materialization of my love of writing and hockey. The process fulfilled me in ways that my legal work could not. But it would not be accurate to say my legal work and my creative writing are completely different skills. 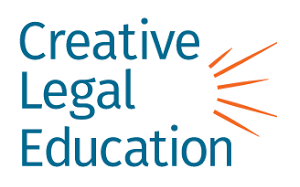 Both inform each other in positive ways and I am confident there are many other ways that attorneys can use their legal skills to inform their creative pursuits and vice versa. Based on personal experience, I encourage other lawyers to seek out those relationships. And I am grateful to everyone who purchases Hockeywood and helps fund brain cancer research. Garrett Oppenheimis an attorney and author living in Seattle, Washington and has an accomplished, passionate dedication to social justice and human rights. He can be contacted at garrettoppenheim@gmail.com.